With the Trump Administration’s embrace of medical marijuana, our federal government has actually made a very important step forward in its acceptance of cannabis as medicine and states’ rights to implement their own medical programs. Unfortunately, Uncle Sam isn’t as hip to recreational marijuana, making medical marijuana more important than ever. And if you are in a state that has a medical marijuana card system, it is extremely beneficial to our movement that we have as many protected patients as possible. Yes, I own two medical marijuana clinics, Ashland Alternative Health and Northwest Alternative Health, that help qualified patients register with the Oregon Medical Marijuana Program, so you wouldn’t be the first to accuse me of looking out for my own business interest, even though I supported the Measure 91 legalization law that theoretically could have put my medical clinics out of business. As Executive Director of the International Cannabis Business Conference (ICBC) and Oregon Marijuana Business Conference (OMBC), I also get accused of ignoring medical marijuana. The truth of the matter is that, as a disciple of Jack Herer, I believe that everyone should have access to cannabis without governmental interference. But experience has proven to me that we have to be smart in choosing our battles. Medical marijuana laws also bring many other benefits to patients. 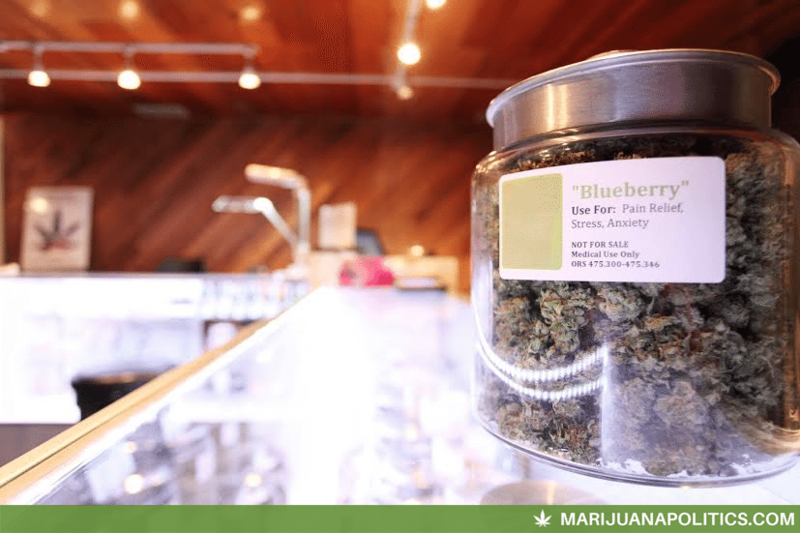 An Oregon Medical Marijuana Program (OMMP) card, for instance, allows patients to cultivate more plants, possess more marijuana, purchase higher potency medical products and shop tax free at Oregon’s dispensaries. With chronic pain impacting nearly half of all adults, many people could use medical cannabis instead of addictive opiates, or at least cut down on the number of opiates that they do use. In addition to severe pain, patients can qualify for the OMMP due to glaucoma, muscle spasms, seizures/epilepsy, HIV/AIDS, cachexia, severe nausea, cancer, and PTSD. 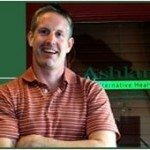 If you are in Oregon and think that medical marijuana may help you, please give our staff at Ashland Alternative Health or Northwest Alternative Health a call. You can help yourself and the entire cannabis community. Ashland Alternative Health can be reached at (541) 488-2202, while Northwest Alternative Health (in Eugene) can be reached at (888) 920-6076. The recent weeks have seen some important governmental decisions regarding the German medical marijuana program. A month or so back, a court ruling declared that the first medical marijuana patient in Germany has the right to grow his own medicine at home. 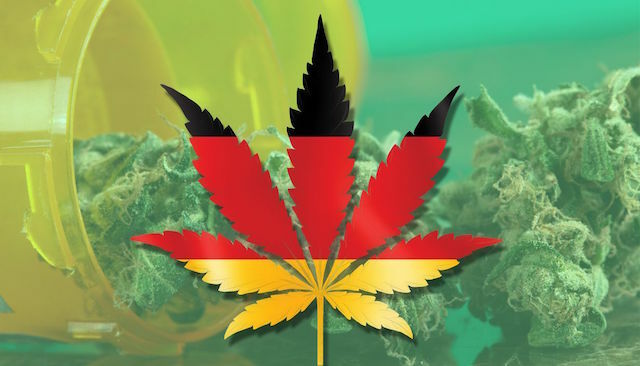 This ruling is seen as a precedent for all other patients and has prompted action within the German Health Ministry to come up with clearer regulations regarding medical marijuana. Currently, there are 650 patients in Germany. The Health Ministry’s action will hopefully create a more streamlined system for obtaining one’s medical marijuana permission, as well as, implement a supply system that is able to properly serve the rising amount of patients in Germany, especially as the knowledge benefits of medical cannabis will only increase over time. That all being said, medical marijuana patients in Germany can currently acquire medical marijuana directly from a German pharmacy. In fact, it is quite easy. The problem is that the Dutch government, who currently supplies Germany with their medical marijuana, cannot keep up with the demand, thus, putting the emphasis and onus on the German government to license private growers in Germany. Things are changing quickly in Europe’s largest economy and it seems that they are on their way to having a robust medical marijuana program. Last Tuesday in Berlin I had the amazing fortune to tag along with my friend Michael Knodt (one of Germany’s 650 medical marijuana patients, and a European cannabis super-star), as he purchased medical marijuana at a pharmacy in the heart of Berlin. Below, you can watch my adventure with Michael (Micha) as we whisk through the city to eventually end up with ten grams of some pretty dank Jack Herer, produced in The Netherlands and purchased and consumed in Germany! Note: In the video below I misrepresented Micha by referring to him as the Ethan Nadelmann of Europe. As I came to learn, Micha is the main guy on the scene in Europe who is a popular writer and web personality. Berlin is a city of four million, yet Micha is constantly being stopped by random people on the street wanting to get selfies with him. Auspiciously, later in the day. I did have the fortune of meeting the Ethan Nadelmann of Germany. That is another story to come. Unfortunately, we need to act again to protect Southern Oregon patients. Thanks to you, we successfully stopped a ban on personal marijuana gardens in Medford and we are having to be vigilant in Ashland as well. Now, the Jackson County Commission needs to hear from us as commissioners consider regulations that will hurt patients’ safe access to medicine. The Jackson County Commission is considering a proposal that will hurt patients’ safe access to cannabis by placing unnecessary restrictions on plant cultivation, processing and dispensaries. 4. prohibitions on the placement of medical cannabis dispensaries beyond state regulations. The Jackson County Planning Commission is holding a public hearing on these marijuana regulations at 9am this Thursday, December 3rd at the Jackson County Courthouse Auditorium at 10 S. Oakdale Avenue in Medford. The County Commission meets on Wednesdays at 9:30am at the Jackson County Courthouse at 10 South Oakdale Ave., Room 214, and could consider these marijuana regulations as early as next Wednesday. We must be vigilant, so please make your voices heard and spread the word to family and friends. Decrease the number of plants that can be cultivated outdoors. 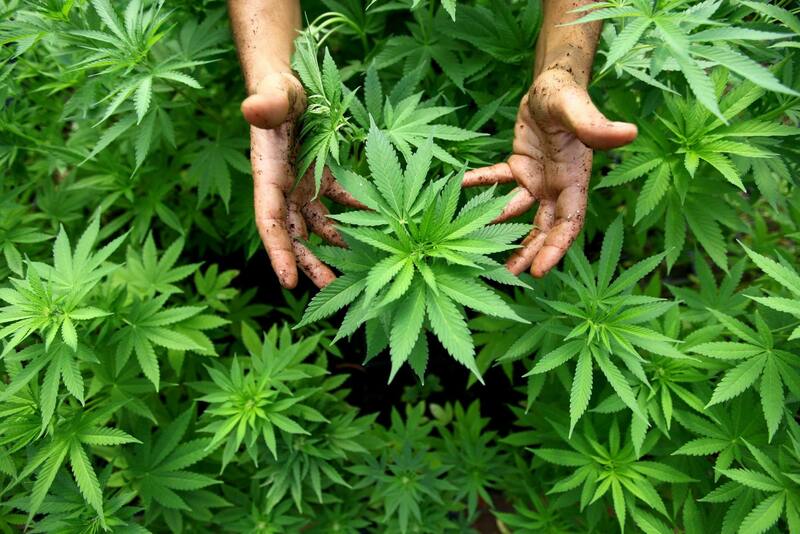 Oregon State Law allows for up to 12 outdoor plants to be grown per household. The Planning Commission wants to decrease that number to 4. This would make it more difficult for Ashland patients to access medicine and will force more marijuana to be grown unsustainably indoors. Limiting outdoor plants to 4 is also likely illegal and could lead to costly lawsuits levied against the city. Unnecessary setback regulations that hurt patients with smaller properties and are hard to enforce. The Planning Commission is proposing a 10-foot setback from property lines and and 20-foot setback from adjacent houses. While not as egregious as limiting outdoor plants, these setbacks could also harm patients with gardens on smaller properties. These setbacks likely won’t accomplish the goal of decreasing odor complaints and could also prove costly for the city to attempt to enforce. 1,000-foot dispensary barriers that could make medical marijuana nearly impossible to find. The Planning Commission is proposing to place a 1,000 foot barrier between all marijuana dispensaries, whether medical or recreational. This arbitrary barrier will decrease competition, which harms patients and consumers by driving up prices. Most, if not all, current dispensaries will switch over to the recreational market and OLCC rules prohibit any discounts to patients. Thus, the 1,000 foot barrier will have the unintended consequence of denying discounts to patients, such as those currently offered to veterans and low-income cancer patients. The commission has admitted that they haven’t received any complaints regarding existing medical cannabis dispensaries, illustrating that the 1,000 foot barrier simply isn’t needed. It will be sufficient to simply allow recreational marijuana stores to exist in the same zones that medical dispensaries are allowed today. Limiting commercial marijuana cultivation. The Planning Commission also supports limiting commercial marijuana cultivation within 5,000 square feet and to only allow such cultivation within agricultural zoned areas. State law already limits sites to 10,000 square feet maximum and prohibits commercial cultivation in residential areas. Additional city regulations of licensed commercial cultivation sites aren’t needed at this time. The Oregon Medical Marijuana Program has benefited tens of thousands of patients across the state. Patients depend upon this life-saving medicine and many patients depend upon the kindness of others. These proposed rules, while well-intentioned, will unnecessarily hurt the sickest and poorest patients among us. The recreational system is just now getting started and we don’t know how the new system is ultimately going to impact patients. It is the wrong time for arbitrary regulations. Please contact the Ashland City Council today and urge them to vote no on passing these proposed medical marijuana regulations. limitations on licensed commercial growing beyond state regulations. You can also call the City Council at (541) 488-6002. San Francisco politics is not for the faint of heart. 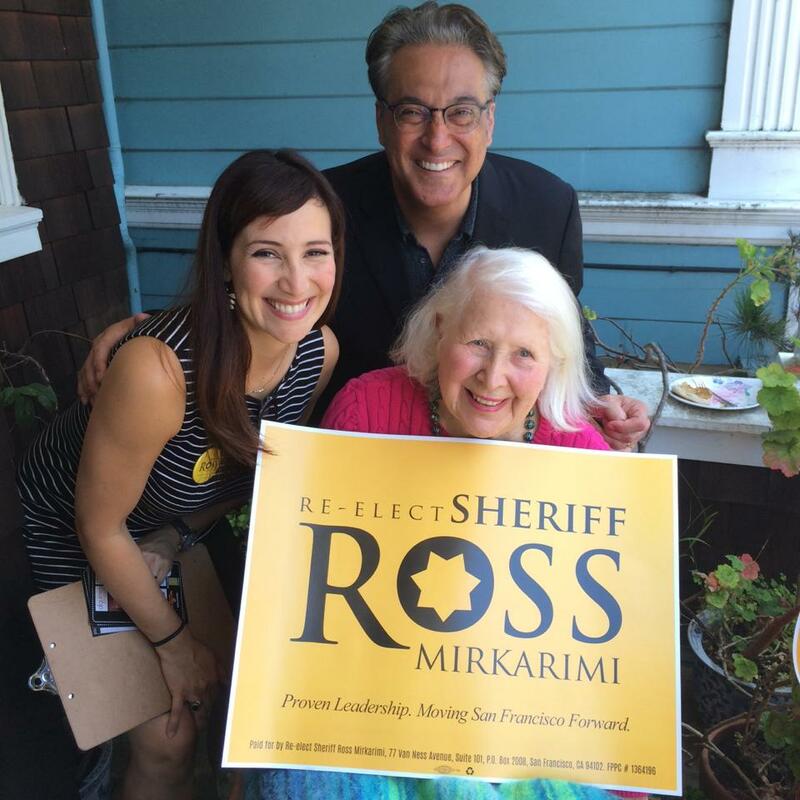 Sheriff Ross Mirkarimi’s tenure has been no exception. Sheriff Mirkarimi has fought off scandal after scandal after scandal. Yet, he has held to his long time progressive values, and persevered to serve his constituents. With the San Francisco elections on November 3, 2015, and with a progressive vs. moderate battle in full swing in the City, with its own scandals and controversies regard Google busses, gentrification from Twitter and other tech businesses, it could be that the future of San Francisco is riding on his campaign. However, Mirkarimi has some political allies – enter the marijuana industry. Bay Area reform advocate, Debby Goldsberry, has joined his team, along with Dan Lind, a long time UFCW organizer, now retired, who was one the founders of their cannabis division. Goldsberry and Lind hope that a substantial amount of fundraising resources can be sourced from the cannabis crowd. You might ask, why would supporters of marijuana and drug policy reform be supporting the top cop of SF? Well, it just so happens that Sheriff Mirkarimi has some of the most progressive views in the country on drug policy and prison reform. Goldsberry is seemingly correct in her assessment. Sheriff Mirkarimi’s record shows a drastic reduction in arrests, drug prosecutions and jail time. To get more information or to donate to the campaign, check out Ross for Sheriff at http://www.reelectrossforsheriff.com/about-ross. Unfortunately, Senate Bill 964 just passed the Oregon Senate by a vote of 29 to 1. Senator Floyd Prozanksi, the senator with the most expertise on marijuana policy, opposed the measure. While it is disappointing that so many senators voted to deny safe access to sick and disabled patients across the state, we are not done fighting this bill. There is still a good chance that we can get the House to vote against the bill or that it will get squashed in the Ways and Means Committee. We can still protect the Oregon Medical Marijuana Program and the rights of patients by educating Oregon House members about the harmful effects Senate Bill 964 will have on patients and the divisive, secretive manner this bill has proceeded. Too many patients have already been denied safe access to cannabis as whole swaths of the state have banned medical marijuana dispensaries. Those bans ended on May 1st, but Senate Bill 964 will pull the rug out from under patients and good business people who were waiting for the bans to end. 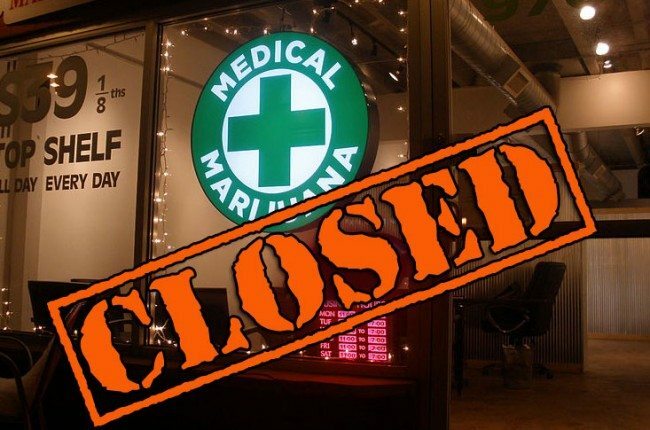 Allowing cities and counties to ban medical dispensaries without a vote of the people not only hurts patients, but violates the opt-out provision just passed by over 56% of voters who supported Measure 91. Senate Bill 964 co-sponsor Jeff Kruse has already made it known that he will attempt to amend Measure 91 to match the SB 964 local ban provision. Senate Bill 964’s reduction in the number of plants allowed per garden site will lead to at least hundreds, if not thousands, of patients to lose their medical garden and the extra reporting and inspections will only force more people back into the black market. Since Senate Bill 964 co-sponsor Ginny Burdick didn’t allow any public testimony of the bill, some provisions are simply ridiculous or unclear. For instance, the bill changes the definition of a mature marijuana plant to include drying plants. Thus, under Senate Bill 964, drying branches will be counted as plants! Will patients who grow for themselves have to be inspected and report monthly? How will growers that may not be computer literate report? Fortunately, the Oregon House as at least three representatives standing up for patients and the will of the voters. Representatives Ann Lininger, Peter Buckley and Ken Helm blocked a previous version of Senate Bill 964, but they need our help to stop this bad bill in the House. 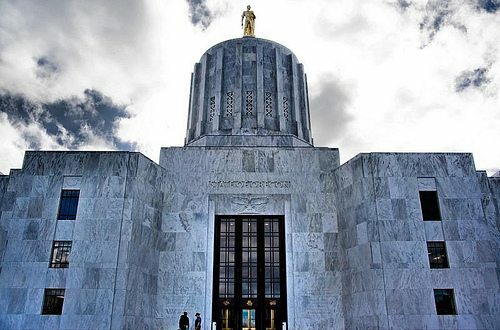 Contact your Oregon House member and urge them to oppose Senate Bill 964 and to stand with Representatives Lininger, Buckley and Helm. You may want to let your senator know that you are disappointed that they supported Senate Bill 964 and praise Senator Floyd Prozanski for bravely opposing the bill when the rest of his Senate colleagues betrayed patients and the will of the people. House Speaker Tina Kotek at 503-986-1200 and Rep.TinaKotek@state.or.us: Speaker Kotek’s Portland district supported Measure 91 with over 78% of the vote. Representative Paul Holvey at 503-986-1408 and Rep.PaulHolvey@state.or.us: Representative Holvey’s Eugene district supported Measure 91 with nearly 68% of the vote. Representative Nancy Nathanson at 503-986-1413 and Rep.NancyNathanson@state.or.us: Representative Nathanson’s Eugene district supported Measure 91 with over 61% of the vote. Representative Lew Frederick at 503-986-1443 and Rep.LewFrederick@state.or.us: Representative Frederick’s Portland district supported Measure 91 with over 82% of the vote. Representative Rob Nosse at 503-986-1442 and Rep.RobNosse@state.or.us: Representative Nosse’s Portland district supported Measure 91 with just over 85% of the vote, the greatest support of any district. Patients and the OMMP have been threatened before, and they will unfortunately be threatened again, so we must remain vigilant and strong. While the vote in the Senate didn’t go the way that we wanted, the flaws in the bill and the divisive nature of the process, provide an opportunity to defeat this bill in the House or in the Ways and Means Committee. If we remain strong and spread the word to our friends and families, we can defeat this bill and protect patients and the OMMP. Senate Bill 964 will harm many Oregon medical marijuana patients and push more people into the black market. Additionally, the bill has many holes and unintended consequences (of course, this can happen when you pass a bill without any public comment). We have managed to delay this harmful bill and it took extraordinary measures by Senator Ginny Burdick to pass the bill out of committee, but it will soon move to the Senate floor. A vote could happen this week, as early as Wednesday, the 27th. We need people to make their voices heard once again. Ginny Burdick isn’t representing her constituents, has gone against patients, defamed the Oregon Medical Marijuana Program (OMMP) and should go down as the next “Dwight Holton” Democrat defeated because of her attacks on the OMMP. Republicans support the bill because it allows cities and counties to ban medical marijuana dispensaries and it will be hard for Democratic senators to go against Senate President Pro Tempore Ginny Burdick. But we can still defeat this harmful bill by contacting key Oregon Senators and House members. Call some key Senate Democrats and urge them to vote “NO” on Senate Bill 964 as the bill allows cities and counties to ban medical marijuana dispensaries without a vote of the people, decreases the number of patient gardens allowed at grow sites and redefines mature marijuana plants to include drying plants (even branches!). Additionally, the additional fees, inspections and reporting requirements that growers must endure will push many into the black market. If you are a constituent, please let them know. Senator Peter Courtney at 503-986-1600: As Senate President, Peter Courtney created the Senate-only committee that passed out Senate Bill 964. The creation of the special committee was a divisive maneuver that really insulted three great House Democrats who stood up for patients and the will of the voters. Let Senator Courtney, who represents the Salem area, know that you oppose Senate Bill 964 as it is a divisive bill that hurts vulnerable patients and goes against the will of the voters. Senator Ginny Burdick at 503-986-1718: Representing a Portland-area district that overwhelmingly supports Measure 91 and the OMMP, Senator Burdick is clearly NOT representing her constituents. While we won’t change her vote, it is good that Ms. Burdick hears from Oregonians that she is going against the will of the voters and that Senate Bill 964 will hurt many patients. Senator Alan Bates at 503-986-1703: His district includes Medford, Talent, Phoenix, Jacksonville, Applegate, Ruch and Ashland. He needs to know that local bans hurt patients and communities and that many of his constituents support the rights of patients and growers. 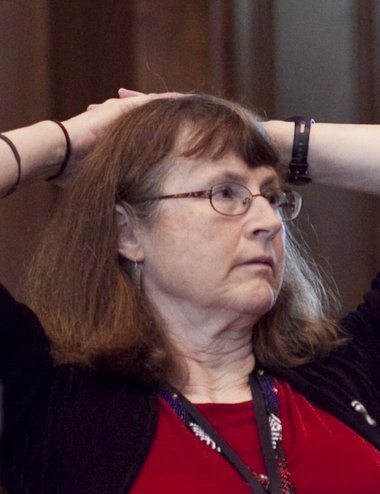 Senate Majority Leader Diane Rosenbaum at 503-986-1700: Her Portland district overwhelmingly supported Measure 91 and the local ban provision in Senate Bill 964 goes against Measure 91. She is the highest-ranking Democratic Senator that we may get to oppose this harmful bill. Call some key House members and let them know that they should support Representatives Peter Buckley, Ann Lininger and Ken Helm in opposing Senate Bill 964.If you are a constituent, please let them know. Democrats should join their colleagues in supporting vulnerable patients and the will of the voters. House Speaker Tina Kotek at 503-986-1200: Speaker Kotek’s Portland district supported Measure 91 with over 78% of the vote. Senate Bill 964 goes against the will of the voters and a large number of her constituents. She needs to oppose Senate Bill 964 and support the efforts of Representatives Buckley, Helm and Lininger. Representative Paul Holvey at 503-986-1408: Representative Holvey’s Eugene district supported Measure 91 with nearly 68% of the vote. He needs to oppose Senate Bill 964 and support the efforts of Representatives Buckley, Helm and Lininger. Representative Nancy Nathanson at 503-986-1413: Representative Nathanson’s Eugene district supported Measure 91 with over 61% of the vote. She needs to oppose Senate Bill 964 and support the efforts of Representatives Buckley, Helm and Lininger. Okay, that’s it for now. We have done a lot to protect patients and the OMMP this legislative session. Senate Bill 964 is a big threat to a lot of people, so we must continue the fight. Check back with Marijuana Politics early and often as we update the situation and announce future calls to action. We have never met, but you seem to have made up your mind about me, without ever communicating with me in any way. Your preconceived notions of me, and everyone that opposes Senate Bill 964, are misguided and wrong. When you were asked about my opposition to a bill that will force hundreds, if not thousands, of sick and disabled patients to lose their medical cannabis gardens, you told The Oregonian that I’m “primarily interested in preserving his business.” Your statement is irresponsible, not fitting for an elected official. Such a careless statement shows that you haven’t done your homework on me, just as you really haven’t done your homework on the Oregon Medical Marijuana Program (OMMP), particularly for someone who opposed Measure 91 , as you admitted recently on KATU’s “Your Voice, Your Vote“. It is really a shame that someone who voted against Measure 91 would be appointed to chair a committee that is supposed to be implementing Measure 91. I guess it shouldn’t be surprising that you are willing to go against the will of the voters. I am assuming that you are referring to my medical cannabis clinic businesses, Ashland Alternative Health and Northwest Alternative Health. Medical marijuana, regardless of whether the harmful Senate Bill 964 passes or not, is here to stay. If I was concerned primarily about my medical clinic businesses, why would I support Measure 91 in the first place? If money was my motivation, why would I support an even more progressive legalization measure, with bigger possession and cultivation limits? However, despite your best intentions, the OMMP is here to stay for a variety of reason. Senate Bill 964 won’t hurt my clinic businesses, it will only hurt the most vulnerable patients who lose their garden (because you force some growers to drop their patients based upon their plant numbers or the land-use zone they grown in). Further harming patients, you support cities and counties banning medical marijuana dispensaries without a public vote, further denying patients’ safe access. You may not be aware of some of my other business ventures: the Oregon Medical Marijuana Business Conference and the International Cannabis Business Conference. A quick Google search will inform you that these conferences have been very successful. Your patient-harming Senate Bill 964 will actually increase the attendance at these business conferences. The more changes to the law in general and, the more rules and regulations the state puts into place, only leads to more ticket sales to marijuana business conferences as people in the industry will seek out the latest information. Finally, it is insulting to everyone that opposes Senate Bill 964, which includes a strong majority of your constituents, for you to falsely claim that opposition is only about money. For some reason, you don’t consider the business interests of Privateer Holdings and the Oregon Cannabis PAC (formerly the Growers PAC) when they seek more OMMP rules and regulations. 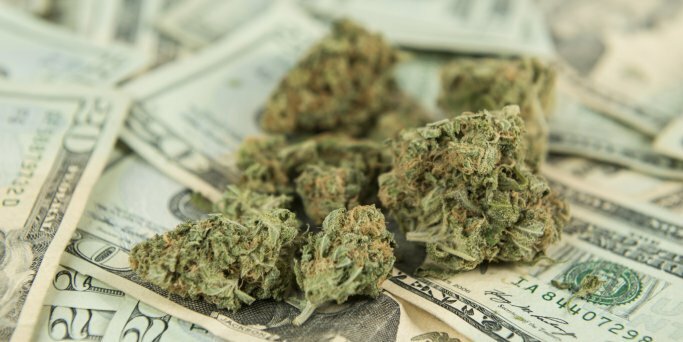 More rules and regulations put in place help those with deep pockets, like well-funded private equity firms, PACs that cost $10,000 to join and law firms specializing in the marijuana industry. My business will be okay. Unfortunately, I can’t say the same thing for the poor sick and disabled patients that you will harm by passing Senate Bill 964. Thus, I will continue to fight against the bill and every bill that will harm the most vulnerable patients and the OMMP. You don’t seem to be paying attention to the people contacting you, urging you to stop hurting patients, but neither did Dwight Holton. At this rate, you may just suffer the same fate as Mr. Holton, as Democratic primary voters tend to support sick and disabled patients over well-funded business interests that work to pass laws that trample the sick and the poor. After patients and advocates rose up to defeat Senate Bill 844 in the Joint Committee on Implementing Measure 91, Senate President Peter Courtney took the rather extraordinary measure of creating a Senate-only M91 Committee after House Democrats Ann Lininger, Peter Buckley and Ken Helm stood up for patients’ safe access and the intent of Oregon voters. Now, Senator Burdick is taking the extreme and radical measure of calling for a vote of Senate Bill 964, without any public testimony. There has been absolutely no public testimony regarding SB 964’s provision that will allow cities and counties to ban medical marijuana dispensaries without a public vote. This is a travesty that goes beyond medical marijuana. This is an attack upon our democratic process itself. New Approach Oregon, the political action committee responsible for Measure 91, has already sprung to action to protect the will of the voters, so we will be joining forces with their massive campaign email list. Other allied groups will be joining us as well because these radical, undemocratic actions offend people beyond the Oregon cannabis community. 1. There has NEVER been a public hearing on whether city councils and county commissions should be able to ban medical marijuana dispensaries. 2. Senate Bill 964 will hurt sick and disabled patients. At least hundreds of patients will lose their gardens AND be denied safe access when cities and counties ban medical marijuana dispensaries. 3. Senate Bill 964 will impose too many burdens on medical marijuana providers, pushing them into the recreational market or potentially into the black market. Section 5(1)(a) on page 11 states that the “Oregon Health Authority shall establish by rule a marijuana grow site registration system to track and regulate the production of marijuana”. This could lead to burdensome and intrusive “seed to sale” tracking regulations, invasive camera monitoring and a whole host of new rules that could ridiculously lead to medical marijuana being more strictly regulated than the Measure 91 recreational system. Simply state what you emailed: Please oppose Senate Bill 964 or at least hold a hearing. This bill hurts patients, goes against the voters’ will and insults our democratic process. Use your own words, but simply tell them that Democratic Senator Ginny Burdick is making a mockery of the democratic process by denying a hearing on Senate Bill 964. This looks bad for the entire Oregon Democratic Party and that Democrats should oppose this bill, especially if a public hearing isn’t held. It is a shame that Senator Ginny Burdick is going against her very own constituents, for which she may pay a similar price as Dwight Holton. However, let’s be sure that she doesn’t harm sick and disabled patients and completely trample the democratic process before she gets voted out of office. While Oregon patients and concerned citizens managed to stop Senate Bill 844, a measure that would harm sick and disabled medical marijuana patients, the bill has basically been regurgitated as Senate Bill 964. 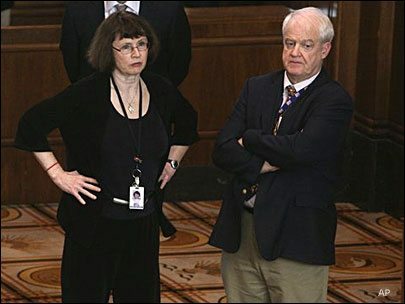 Oregon House Democrats Ann Lininger, Peter Buckley and Ken Helm stood up for patients and the will of Oregon voters when they refused to roll over for the Republican Party’s stipulation that city councils and county commissions be able to ban medical cannabis dispensaries without a public vote. Unfortunately, Senate Democrats have decided to cave to Republican Party demands. Senate President Peter Courtney has taken the extreme measure of creating a new, Senate-only Measure 91 Implementing Committee to pass Senate Bill 964, a bill sponsored by Democrat Ginny Burdick and Republican Jeff Kruse. Senate Bill 964, like Senate Bill 844, still contains some very troubling provisions: placing plant limits upon medical marijuana patient gardens; mandating inspections; creating new fees; along with empowering cities and counties to ban medical marijuana dispensaries. Limiting medical plant counts, placing more burdens upon medical providers and giving a handful of city council members the ability to ban medical cannabis dispensaries will only harm the most vulnerable patients. Not only does Senate Bill 964 harm the Oregon Medical Marijuana Program (OMMP), it also goes against the will of Oregon voters who decided that they wanted to regulate marijuana instead of continuing the harmful policy of prohibition. 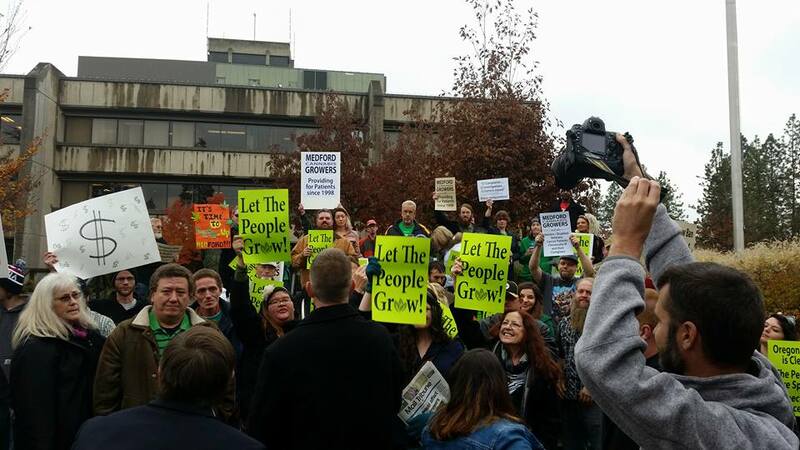 Since Measure 91, passed by over 56% of voters, mandates that cities and counties must hold a vote of the people in a general election before banning state-regulated marijuana businesses, Representatives Lininger, Buckley and Helm sensibly stood firm that localities should put a vote before the people. 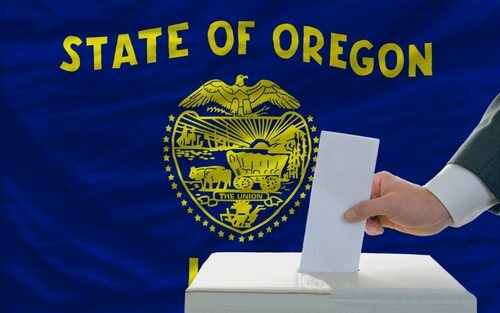 Requiring a public vote has since been advocated by both The Oregon and the Register-Guard. It is a shame that a handful of Democrats have decided to capitulate to Republicans and support a bill that will harm patients and make it easier for cities and counties to ban safe access to a safe and effective medicine. The Oregonian Editorial Board correctly called it “nonsensical” for the Oregon Legislature to make it easier to ban medical marijuana than recreational marijuana (or recreational alcohol, for that matter). Not only is it nonsensical, but it is also harmful to patients, the OMMP and to Oregonians who want regulated sales instead of a thriving black market. Stay tuned to Marijuana Politics over the coming days as we once again have to spring to action to protect patients, the OMMP and the will of Oregon voters. State Senators Ginny Burdick and Jeff Kruse have decided to insult the intelligence of patients and advocates by claiming that opponents and critics of Senate Bill 844 are unduly influenced by financial interests or haven’t taken the time to read the 89 or more pages that now make up SB 844 after more than 25 amendments have now been proposed. Conveniently, these Salem politicians ignore the financial interests of the big money business interest groups and lobbyists that have been seeking to dismantle the OMMP as we know it this entire legislative session. The OMMP was implemented after a very strong majority of Oregon voters during an off-year election way back in 1998 and the law has evolved rapidly recently with the implementation of state medical marijuana dispensaries and now legalization for all adults. Thankfully, we have some great legislators seeking a more “moderate steps” than Burdick and Kruse, standing up for sick and disabled patients, sensibly skeptical of any provisions that may hurt patients or go against the will of the voters. While the program could use some improvements, it is working relatively well, providing medicine at a low cost or even free to thousands of patients across the state. Additionally, the OMMP is financially self-sufficient, operating from fees collected from patients and dispensaries, generating several millions of dollars each year for other state programs. The burden of proof should be on those that are seeking new regulations and restrictions of a revenue-generating state program that benefits the lives of thousands of patients battling severe and debilitating medical conditions. Where is the proof that the OMMP needs reform now? Doesn’t it make more sense to wait until February of 2017 to re-evaluate both the OMMP and Measure 91 systems? It may be easy for those that dismiss many patients as fakers to decrease patient gardens and allow city councils and county commissions to deny safe access points, but those most familiar with the OMMP and its patients understand the value of this medicine and this program. No one denies that reforms may need to be made, but we do deny that there has been sufficient proof that a decrease in patient gardens and allowing local opt-outs of medical dispensaries are necessary. A money-making state program, that has thousands of supporters willing to take time out of their busy lives to contact their legislators and make their voices heard, the Oregon Legislature should listen to the will of the voters and not impose any unnecessary restrictions upon patients’ gardens and safe access points. No Democrat like Ginny Burdick or Republican like Jeff Kruse campaigned on the need to restrict the Oregon Medical Marijuana Program and patients’ access to medicine. Despite much misinformation and really Reefer Madness propaganda, the OMMP is very popular with voters and more than 56% of voters just supported a legalization measure that mentions several times that the OMMP would not be impacted by the legalization measure. Unfortunately, some members of the Measure 91 Implementation Committee are ignoring the will of the voters and using a committee established due to the Measure 91 legalization measure to regulate the OMMP, without any proof that such regulations are needed. Due to the popularity of Measure 91 and the OMMP, many voters will likely take into account attacks upon patients’ medicine and well-being. Attacking the OMMP and patients’ safe access didn’t go well for the well-financed Dwight Holton in his run for Oregon Attorney General and it may not play well in primaries and general elections for other candidates in races across the state, or even state-wide. Thank you Oregon patients and concerned citizens! I won’t insult your intelligence like some law makers and accuse you of mindless following others. Unlike most legislators, you actually have real-world experience with the OMMP and know the importance of our hard-fought laws. I understand that it takes some courage and dedication to send an email to an elected official or give their office a call to speak your mind. You stand with patients and advocates that have waited long-enough for moratoriums of medical cannabis dispensaries to end. You stand for the most vulnerable among us, those battling severe and debilitating medical conditions, along with poverty. You made your voices heard with thousands of emails and hundreds of phone calls and have really done all that you can to protect patients’ safe access and the OMMP. It is now up to Oregon legislators to heed the will of the voters, implement Measure 91 to the text of the measure, and maintain the Oregon Medical Marijuana Program. Growers will be subjected to a fee and inspections (even if growing in their home for just one other person, like their spouse); must report monthly to the Oregon Health Authority and keep those records for 2 years. Anyone familiar with the OMMP and many growers, especially those in Southern Oregon, just getting a license is seen as too much government involvement in their lives, let alone monthly reporting and inspections. However, most harmful to me, and many others are the decrease in patient gardens allowed at grow sites. We do know, without a doubt, that at least 475 patients will lose their grow sites due to Senate Bill 844. More patients will certainly lose their medical gardens, but we don’t know exactly how many because we don’t know how many sites are currently located in residential areas. These plant limits could also have unforeseen consequences such as raising prices at medical cannabis dispensaries or even pushing some people back into the black market. For some, 500 or 1,000 or 5,000 patients losing their gardens is apparently acceptable, but to many of us, it is simply a tragedy that the state is even contemplating unnecessary legislation that will cost any patient his or her supply of medicine. Over this week I have received several hundred emails in opposition to the -6 amendment. What I am reasonably sure of is those sending the emails did not read the bill. These emails were generated by the people who have become millionaires in this program, primarily because accountability would dry up their revenue source. So they scared a whole lot of patients into thinking we were “going to take away their medicine” in an attempt to derail the bill. I have certainly not hidden that I own Ashland Alternative Health and Northwest Alternative Health, two of the biggest medical cannabis clinics in Oregon. I also produce the Oregon Medical Marijuana Business Conference (OMMBC) and the International Cannabis Business Conference (ICBC). In many ways, more rules, regulations and red tape will only help increase the number of attendees at the OMMBC and ICBC as people in the industry want to know the impacts of new regulations and what is on the horizon. And I supported Measure 91, despite the fact that legalization could dramatically hinder my medical marijuana clinic businesses. Regardless of whether Senate Bill 844 passes, my businesses will do fine, but I can’t say the same thing for Oregon’s most vulnerable medical marijuana patients. Legislators should be looking at the business interests of those that wish to further regulate the OMMP and decrease the number of patient gardens. The primary business interests pushing Senate Bill 844 and other OMMP regulations are marijuana businesses planning on primarily engaging in the Measure 91 recreational market set to start in the latter half of 2016. These business interests are apparently afraid of the competition from the medical market and likely feel that they can jump through extra hoops that smaller mom and pops cannot. At the top of the list of business interests pushing for OMMP regulations is Privateer, a Seattle-based company that hopes to brand its Marley Natural marijuana products across the country. Brendan Kennedy, Privateer’s CEO, was asked by Willamette Week, who was advocating for residency requirements in the marijuana industry, he answered, “Bootleggers and criminals.” Privateer is currently using a portion of its millions of dollars to lobby the Oregon Legislature to regulate the OMMP exactly the same as the OLCC recreational system, a policy that will only increase the price of medical marijuana and push growers out of the OMMP altogether. I have absolutely no qualms with anyone making millions of dollars in the recreational marijuana market, in Oregon or anywhere in the country. However, I do have a problem with business interests sucking every dime out of the OMMP and working to make more and more money at the expense of sick and disabled patients. I am proud that I have stood up for the sickest and poorest patients, those without the means to hire lobbyists, and I will continue to do so. If my motives, and the motives of everyone else seeking to maintain the OMMP are called into question, then I have no choice but to shine a light on those that wish to dramatically change the OMMP as their business interests should certainly be considered as well. 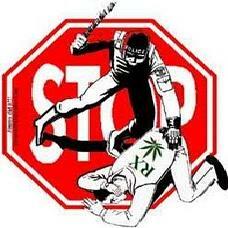 Medical Marijuana in Oregon: The Fight Goes On! I understand that we are all battle weary, but we must remember that we are working for a common goal. Votes have been expected on Senate Bill 844 the last three times the Measure 91 Committee has met and a vote was certainly expected last Monday, but the vote hasn’t proceeded because we have made our voices heard. On Monday, Senator Floyd Prozanski, the medical marijuana community’s best ally in the Oregon Legislature, introduced the DASH 15 amendments, which would move back the limitations on patient gardens back to July 1, 2017. Representative Peter Buckley also indicated his support for moving the operative date back as well. Monday, May 4th, is likely the last chance to protect Oregon Medical Marijuana patients by letting the Oregon Legislature’s Implementing Measure 91 Committee know that limiting patient grow sites will end up hurting the sickest and poorest patients. Please contact legislators and urge them to vote “NO” on Senate Bill 844. IF legislators are adamant about limiting patient garden sites at an address, then they shouldn’t impose limits until July 1, 2017. By delaying the deadline for patient regarding reductions, the state and the medical cannabis community will have more time to analyze the impact of the recreational marijuana market has and implement any necessary legislation, including potentially legislation that will restore patient garden rights. The harmful provisions could have passed last week, but they didn’t, thanks to patients and advocates making their voices heard. In fact, these harmful provisions WOULD have passed already, but we contacted legislators en masse. But we aren’t done yet, and need to do all that we can to improve this bill, as it is scheduled for another vote on Monday, May 4th. Call to Action #2: Make calls Monday, May 4th (starting in the morning until 4pm) and simply state what you emailed.